Last year a number of people bought several copies of our bird calendar as special gifts for family and friends here in Australia as well as overseas. We were delighted with the positive responses that were relayed back to us. 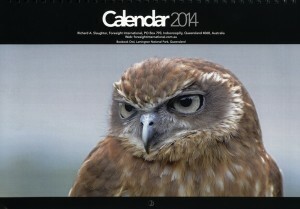 So this year we decided to get the calendar out a bit earlier. 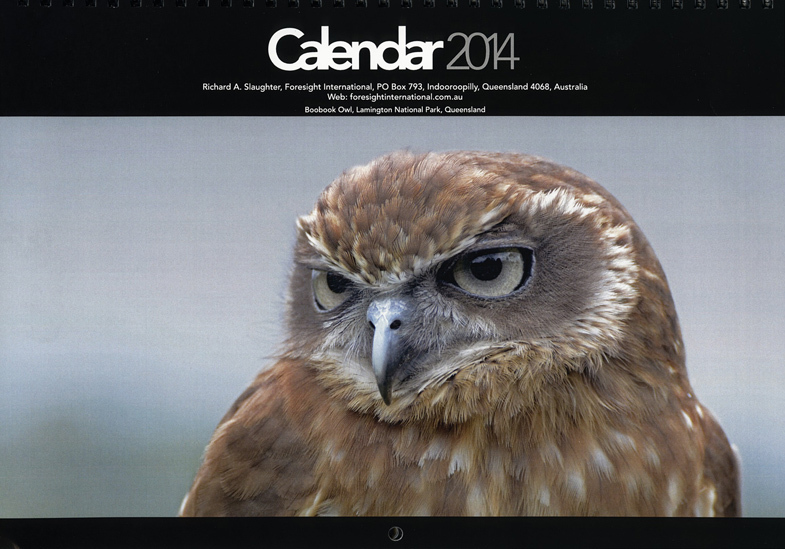 A Boobook Owl from the Lamington National Park graces the cover. 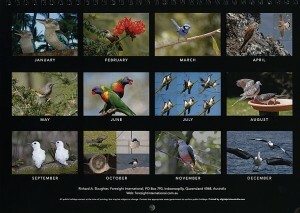 Inside are 12 of the best pictures from this and earlier years. Apart from their sheer beauty, I like to think that bringing such images into one’s home reminds us of the values inherent in the wider natural world around us.